Pakistan’s Commodore Muhammad Ihsan Qadir, Commander of Combined Task Force (CTF) 151, met with Mohsin Hariz Nagi Ak Shaary, Chargé d’affaires, Embassy of the Republic of Yemen in Oman to discuss the current piracy situation and the international community’s constant efforts to defeat the threat of piracy in the region. 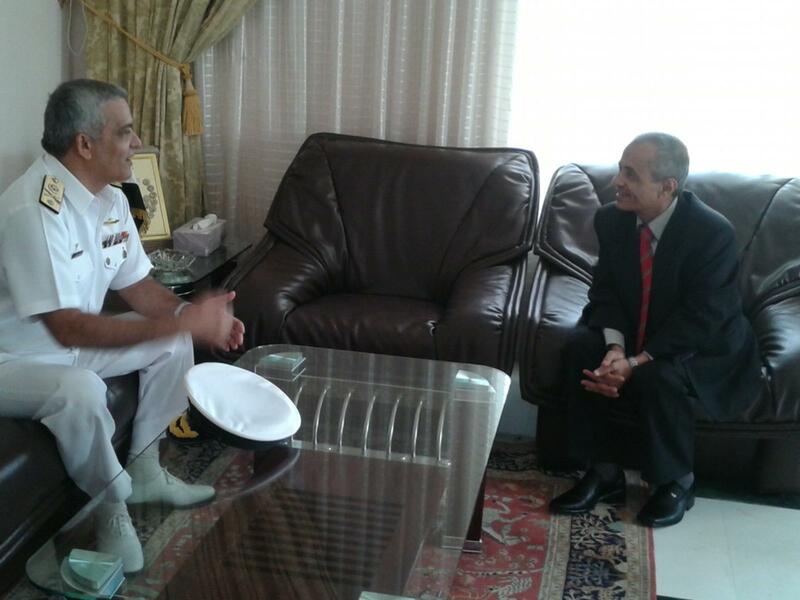 The meeting occurred at the Yemeni Embassy during CTF 151’s recent port visit to Muscat. Over the past four years, CTF 151 has collaborated with the Yemeni government to conduct counter-piracy operations. Recently, CTF 151 completed Focused Operation Southern Look, to study maritime shipping and fishing off Mukalla, a critical port city in southern Yemen. The information collected during the operation will allow the counter-piracy naval ships operating in the region to deploy in a more efficient and effective manner. The threat of piracy in and around the Gulf of Aden has worldwide implications and Yemen is strategically important to the international efforts to defeat that threat. As such, the continued support and cooperation of the Yemeni government is a crucial component of the multinational counter-piracy endeavour.